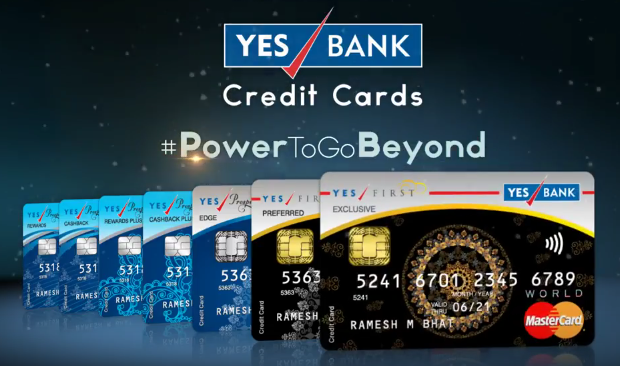 Yes First Exclusive Credit Card stands above YES First Preferred Credit Card and is one of the most premium credit card available with Yes Bank for now. It looks like every benefit of the card is designed in such a way that its positioned as a direct competitor to HDFC Infinia Credit card, infact its better in many aspects. While most of the super premium cards in India runs on Visa Signature/Infinite variants, YES FIRST Exclusive Card works on MasterCard network, though comes with nice set of privileges. No idea about it. Yet to explore the Golf program across multiple credit cards. This is one of the major feature if you fly a lot in international sectors. Priority Pass now gives you access to 1,200+ lounges across the globe, all that at Zero cost with this card. Apart from Priority Pass Programme, which is sufficient for accessing most of the lounges in the world, you also get unlimited access to Indian airport lounges which are under Mastercard Lounge network. Looks like Mastercard has given many special privileges to this card, maybe they’re trying to match with Visa Infinite level of service. All seems to be good, but not sure if they can beat American Express Concierge service. Did you notice Credit Shield cover benefit? Its awesome feature which i’ve seen only on HDFC Infinia Credit card so far. So YES FIRST Exclusive Card is the Best credit card? As you can see, except the ongoing reward earn rate of 2.5% as compared to 3.3% on Infinia, every other benefit is outstanding and is exceeding the expectations, like with Finance charges. In-fact 2.5% reward rate is quite better than most other cards in the industry. I expect all services and reward redemption’s to be in par with HDFC because the loyalty program is run by the same company – “Loylty Rewardz Mngt Pvt. Ltd”. Card on Card Offer: You can get this card Lifetime free if you have any other card with 8 Lakhs limit, 1 Yr usage and no late payment charges. However, you wont get welcome bonus points & Taj membership with this free variant. What’s your thoughts on YES FIRST Exclusive Credit Card? Share your views in comments below. What is the eligibility criteria for this card? Now they have increased the limit requirements on other card to 8 lacks effective 01St April 2017. I was thinking to apply last month based on my hdfc regalia limit of 6 lakh. But then I thought first to apply to upgrade hdfc to hdfc dinner black and increase limit before applying yes exclusive. But now I lost the opportunity. That’s sad to know. I think you can still apply for Preferred and upgrade to Exclusive after 6 months usage. How can I apply with card on card offer. I tried on their website but they rejected the application based on salary (less than 50l)? There was no option of applying based on other card (I have regalia card with 6l limit). Visit the Yes Bank branch. Can you compare hdfc Infinia vs yes first exclusive on basis of points earned for ₹100 spent & value of each point ?? Debajyoti from Kolkata again. I got the yes first preferred lifetime free by card on card with my diners premium (3.09 lacs) . Yes Bank is new to CC and i must say the customer service is not upto the mark at this point. But then lifetime free and PP with 6 accesses !! (albeit just for me , not my wife). Over fast processing. But the point redemption options are very limited. Just like you mentioned .. adding up for perfumes only !!! BTW have applied for Diner Black on white paper , no upgrade form available in website. Hope they accept that under lifetime free category as i am strictly against paying for a CC !! Any idea whether Black will be issued or not ? It also depends on various factors, like, other relationship with bank, card usage etc. Btw, i guess you can upgrade Preferred to exclusive card in 6 months or so with unlimited PP access. Do you think it is good to have high limits ? When cards get fraudulently used banks make u run around & I have this experience. More the limit, more dangerous your card is. I have a HDFC regalia card, tried to get diners black by sharing credit limit. Bank was not willing to provide both. i am planning to upgrade HDFC regalia to diners black(HDFC is ready to do this). and planning to apply for this yes bank exclusive credit card. any suggestions? Certainly. You can upgrade and also take YesBank Exclusive card. Having both cards could be possible if you have higher limit. What is the limit you have on your Regalia credit card? Also, what kind of relationship do you have with HDFC? I also intend to upgrade to the Diners Black, currently hold a Regalia with a 2.5L+ limit. How did you contact HDFC regarding this? For any request, they till you to send a written application to Chnnai address and don’t even inform if your application for upgradation has been accepted or rejected. So, how did you manage to get a response from them that they are ready to upgrade your Regalia to Diners Black? Should i get this one. I already have hdfc regalia, amex rewards and platinum travel and other cards from scb and citi. I can get this based on credit limit on my citi card it is Rs. 5.6 lakh. I am enticed only because it is free and premium. Its a super premium card. Worth applying just for the Priority Pass Benefit. I guess they just want existing credit card statment as a document for card on card offer. Yes, for Yesbank A/c holders. You don’t need to visit branch. I just applied on website with right mobile phone number. The application was declined yesterday, but today I got call from yes bank. I asked them about the offer and they agreed and will soon pick up my application and docs. Sounds good. Looks like they’re pretty active as they’re new. Being the new entrant, Yes banks seem to be pretty fast in issuing the card however their marketing is very poor. Even their RMs are not aware about such offers so visiting the branch may not be of much use. It is better to leave your footprint through online application. I had applied online and got the call very next day however my RM told me that it will be paid card with annual fee of 10000/-. Finally I applied under card-on-card offer and got life-time-free Yes Exclusive card with limit higher than supportive card. Bank sent the card like a gift parcel box-in-box. It had priority pass included. The best part of this super-premium card is that it is Mastercard varient so will be accepted at most of the domestic lounges compare to very few lounges offered by VISA. The other benefit is that Mastercard has the lowest exchange rates compare to VISA and Diners Club. Diners club is worst in terms of exchange rate. Their Forex rate is 1.5% higher so effectively we pay same 3.5% exchange rate in Diners club card. Now Yes First Exclusive is going to be my primary card. Will share experience on offers soon. Congrats on the new card! Thanks. I sent you the pictures over email. Yes Exclusive card has become my primary card due to 2.5% cash back in terms of RP. Now targetting to get Diners Black in my wallet. Dear Deepak, Could you please share how much credit limit you got on your Yes Bank Exclusive CC? My application has been approved and the card has been dispatched today [I am an Yes First Customer and had provided details of my existing CCs-1) ICICI Bk(5 L) and 2) Stanchart(6.33 L)]. But the Credit limit approved for my Yes Bank Exclusive CC is only 2L. Siddharth-any reason why the credit limit sanctioned is so low? Its just the risk factor that the bank’s see. You can get more limit after 6 months maybe. As you’re a Yes First Customer, they might have honored your request. Can you write an article about cashback cards that can be encashable? If I may ask, what all documents they need? for ‘card on card’ offer. suppose i am not in a relationship with YES Bank yet. Address proof, pan card and last two month credit card statements. I just applied for it and all documents were submitted today. Any idea how long it takes for delivery? A week or two max. I got the card delivered today. Had applied on 20th Dec – came in big box with 2 cards – the credit card and priority pass. Thanks for the information basis which applied. Keep up the good job. Appreciate a full resolution pic when you got time. You can mail me on sid[at]cardexpert[dot]in when its ready. are there any charges for Dedicated Concierge Services. I am applying for the card based on existing card. Docs will be picked up tomorrow. One thing that I want to point is that, even though heir website says that the MasterCard lounge program is for the Primary Card Holder only, but in the list of the lounges and the terms document it’s clearly written that the Unlimited Mastercard Lounge access program is for the Primary Card Holder as well as for Add-On Card Holder also. So, I don’t know which information is actually true. I have also applied for this card. Regarding your reward comparison with hdfc regalia i would say it is better than regalia. Because in rewards you directly redeem points for amazon coupons in rewards website and you buy anything in amazon using the coupon which give more options . Hey Siddharth, just wanted to drop in and wish you a Merry Christmas. Hope you have a good one! You website is informative and inspirational at the same time. Enjoy your iPhone and keep up the great work! Thanks again. SO the Addon card gets Priority Pass ( Is it a different Issued card ) Or do we do +1 When we visit the Priority pass lounge? It is a different issued card which can be independently. credit limit on existing cards needs to be 2 lakhs above.. Applied for YES FIRST Preferred Credit Card yesterday very fast processing docs been collected already. First i will be very thankfull to you for your hard work and efforts to make this web more informative. I am holding hdfc regalia cc but waiting to invited by hdfc infina cc team but till time no call?. Hdfc regalia 5 years old limit is 6l..
No late payment in 9 years old track of my first cc. I just want to ask is this card can really make On card to card basiss ? If i show them my statsments ? Yes, you can avail it with Card on card. For Infinia, try requesting BM. Anyone got the card. I applied in 21st for exclusive card no communication yet from yes bank. I just got card today. It was fast service, next day of application received call from Yes Bank. have Yes bank matched the limit also? i was told the limit will be higher than existing credit card. Thanks, yes matched with Regalia limit. I am just thinking to apply for the card with my regalia cc, i do not hold an account in yes bank, so what are the documents required to apply for the card. Should we visit the branch to apply for it or call the customer care no where the request can be taken for the documents to be collected from me..? Sorry, there is no way to get notification when someone replies and hence this was missed. I see that you already have applied and should get soon…Congrats. Is lounge access free for add on card holder as well? Pics? am yet to receive any. Yes, its free for add-on cards as well via PP. Just thought I could add some details here !! You can get a YES FIRST Exclusive Credit Card without having a 5L limit on the existing cards. You need to have an existing ICICI Bank Sapphiro or an American Express Platinum Card (Rs 50K annual fee) in good standing to be eligible for Life Time Free YES FIRST Exclusive Credit Card. Also, a maximum of 3 free add-on cards with respective Priority Passes can be applied and availed for as well !! That’s an interesting information, especially ICICI Bank Sapphiro part. Hi I am a yes first customer, they are offering me free lifetime and no joining fee on yes first exclusive card. But they are not offering me any welcome bonus points since it’s free for me. Is this ok? Thanks buddy, I have applied for the card at a bank branch, Yes First Exclusive was offerd to me with card on card offer with LTF. Expecting to receive in a couple of weeks. though i could add my experience here.. Received a call from yes bank customer care on 26th dec, after registering interest with yesbank. Documents collected on 2nd jan, card was approved and dispatched on 11 jan. couple of verification calls and visits to approve. Even HDFC Infinia has a World MasterCard variant. There are at least 3 banks that I know offering the World MasterCard as their top variant. What’s actually on par with the Visa Infinite is MasterCard World Elite. But that’s not available in India and so these banks offer just the World Mastercard which is actually on par with Visa Signature. In the US, at least some time before, the Visa Infinite wasn’t offered. So those banks pitted Visa Signature against World Elite MasterCard variants of their own or competitors. (1) Standard Chartered – For Priority Banking Customers, currently free for life. (2) CitiBank – Citi Prestige Card, 20K annual fee, not very catchy in terms of benefits. (3) Axis Bank – Reserve Credit Card, invitation only. (2) KVB offers a Visa Signature card in partnership with SBI. HDFC in unique in offering it top most variant The Infinia in both Visa Infinite and World MasterCard variants. The above lists are just what I know. There are possibly more. Oops! How did I miss ICICI Bank which also offers World MasterCard as it’s top variant. It’s the Diamant Credit Card that they offer. My application has been rejected after more than a month of applying. reason credit team has done that. Surprisingly i got a call for verification and home visit and still card rejected. I had to call cc every 2-3 days for an update and when 21 days passed they said they will escalate the issue. The experience has not been good, no communication from YES bank during whole 1 month and no official communication of rejection. I got a call from Yes bank and after getting all the details (net salary, existing credit cards (i.e. regalia with 3L limit and Standard charted), usage per months on credit cards etc. ), the representative said the criteria for getting this card is to have minimum 3 lakhs as a take home salary per month. So, the card can not be issued. Do others have similar experience? You need 5L limit on existing card to get this one. With 3L limit, you can go for YES First preferred variant. I have multiple credit cards and the highest limit one is diners premium with 3.7 L limit. 1. Can i get diners black if i apply for the same with this limit. 2. I got the yes first preferred delivered to me in the first week of january, when can i apply for the upgrade to yes first exclusive. Try after 6 months with good spend on the existing cards, for both. Over the past year i must have sent like over 10L on YFP and than i asked for the upgrade to YFE and their answer was mail us the salary slip of 50L or forget it. I dont get it why are they not ready to upgrade the card. Although for Yes Bank point of view i have a pretty high credit limit of over 3 lakhs. Enhance limit on Regalia and then apply. I applied for the exclusive card on 8th of Jan and with in two days documents were collected, i received a call from the document collection department i think to verify my name and address. Since i did not receive any call on 23rd, I called the 18001036000 number to check the status and provided the YBL number ( which was provided by the Yes bank sales rep when collecting the document), the caller said he cannot see that YBL number in the system, and he said they will send the email to sales group to call me, i have not received the call yet it is almost a week now. Try to escalate through nearest branch manager or drop a line to their Nodal officers. Thanks Siddharth, i escalated as you mentioned in this blog, instead of Yes First Exclusive card i was approved for Yes Preferred Card. In the call i mentioned i am not interested with the card, the caller said use this card for 6 months and apply for upgrade. Siddharth do you really think they will upgrade?. based on your experience..
Hi Mahesh, same thing happened with me. I applied for the Yes Preferred card on 7th Jan at the bank branch and the YBL number given was not updated on the system. It took them some time to process the whole thing and I got my card after 19 days of application and documents submission. Should happen in about the same time for you also. You can ask call center person to search your application on the basis of your mobile number and address details. For me also, i didnt get any message related with Unique application reference. However call center person was able to share the status. Now Yes bank seems to be not so liberal in offering this card. I applied this card against my Regalia card with limit more than 5 lakh and excellent CIBIL score. Still Yes bank called me and offered me Yes Bank Preferred card, which I refused. Finally my exclusive card approved and dispatched…. Hi Siddharth , I have a Amex Platinum Reserve CC with credit limit of 6.08l , can I apply for the YES FIRST EXCLUSIVE CARD?. A friend’s / Known landline no. can help too, as long as they’re ok with saying that you’re staying there. I got this card last week. I used my HDFC Regalia card which has a 5.4 lac credit limit to apply with the card on card offer. The Regalia credit limit wasn’t matched – I received a limit of only 2 lac on my Yes First Exclusive card. OMG, 2L on Yes Exclusive card !! That’s too low for this variant. Maybe other factors weren’t favoring you for the limit. In my case also, I got 3L only whereas my Regalia has 8L! Well, I just wanted a card which can lay to rest any lounge limitations for my wife and me. This fits the bill perfectly. Just got my Yes Exclusive Credit Card along with a PP (my first!) just this morning. Now I need to apply for add on Cards and PPs for my family members. Thank you Sid and all of you guys for having brought this excellent card to my notice! I have a Regalia with a 4.8L limit. Just falling short of 20k. Is there a work around apart from sending document to HDFC Cards division. Yes bank denied with 4.8L. You can send docs via your RM. I just applied for it and all documents were submitted 8Feb2017. Any idea how long it takes for delivery? Thanks Siddharth, your information has always been helpful. I want to apply for card on card offer for Yes Exclusive card but I am unable to find this link. Is this offer still ON? Yes, it is. Just visit the Branch. Is it advisable to open a savings a/c with Yes bank before applying for this card? Hi Siddharth , i have visa infinite card from standard charted with 5L limit , but it is issued to me around 10 days back only..can i still apply for this yes bank exclusive card with card on card basis ? Kindly guide me. I got the card delivered today. Applied on first week of Jan. Sales representative messed up my documents and I had to submit some documents twice. Applied for add-on card as well. Was surprised to see a big box with 2 credit cards and priority pass. Applied for this card after going through this blog. Availed Card On Card offer. Thanks a lot. Good to know that a lot of our readers are holding it now. I got to know from the local branch rep, now the credit limit needed for card on card is 8L. For this reason, seems I won’t be able to get this card currently. They are offering me “Yes Privilege”.. What will I miss out if I get this card instead of Exclusive? Try for Preferred card then. I talked to Yes Bank customer service today and they said criteria for Exclusive is 3.2L+ monthly income or a 10L+ limit on an existing card. If you are a HDFC Infinia holder, instant approval too. I settled for a Yes First Preferred Card. 10L+ limit on an existing card. Oops! Regalia has also stopped giving free TAJ membership. I was a frequent user of that benefit. Any other decent card offering Taj Epicure membership? High joining fee cards still has it, like Amex platinum. Hi, thanks for the review. I got my Exclusive card on basis of Regalia card which has limit of 6 lacs. I surely believe this card provides a great value and on top of that unlimited access to lounges for primary and add-on card holders, which is pretty amazing. Hope to gather some gr8 points for GVs available on redemption. Indeed, this card is best for the Priority Pass. Anyone who has used RBL Bank’s Insignia CC? Many thanks for sharing the information!! I am using SC Manhattan card with 6 L limit from last 6 months. To get Yes first exclusive card, do I need to wait for another 6 months or should I apply for Yes First preferred and then upgrade it to exclusive? Does this upgrade work? How many addon cards can we have with this card? Also, can we take addon card for kid also? You can have upto 3 add-on cards for adults only. I am still seeing Taj membership offer in Yes bank portal. Are they giving it now ? I heard from the executive that I will get 50000 Bonus point for LTF card also . Is it so ? Do we get 50,000 points with free Yes first Exclusive card ? I am planning for thailand trip from Mumbai. Currently I’ve 5 credit cards( hdfc cashback, IndusInd platinum,citi platinum,standard chartered platinum and icici platinum) and 4 savings account with debit card ( icici, standard chartered, yes bank, axis bank) please tell me out of all these which card can i use for maximum benefits ? And if I can’t , please tell me which card should i take in addition. My requirements is that i want to get maximum benefits while booking flight tickets and second requirement is that if I use my asset overseas, I should not be charged more in atm’s or in hotels, guesthouses, shopping etc. Unlimited Mastercard Lounge access to more than 30 lounges across Indian Airports is for add-on cards also. Confirmed with product feature booklet came with the credit card and also with the customer care. Does Yes Bank send representatives for address verification in addition to whoever visited for document collection? Or do they verify over phone? yes residence verification is done by different person. For the home/office address verification: Do they call and coordinate before coming, or just show up unannounced? The unlimited MasterCard lounge access is both for primary and add on card members. I have verified with instruction booklet came with card and also with customer care. Wrong information is there on yes bank website regarding the same. Strangely enough I had a very different experience. I had two cards with 5L+ limits but both were only 6 months old. But I got approval within days, not even full KYC docs submitted, only one copy of Passport (as ID+ Address proof) and last months email statement of both CCs. No visits, nothing. My HDFC application some time back was also approved without visits (or even phone verification). How many days did it take between submitting documents and approval? Thanks for the review and comments on this site. Applied online on 15th June. Documents collected on 16th. Phone verification on 17th. Received reference number via SMS on 20th. Home and office verification done on 21 and 22. They showed up without calling. Then no updates for a week. Card was approved on 30th, but didn’t get any immediate message. Got bluedart message on jul 1 and card received shortly after that message. The card packaging is quite amazing. I can’t yet register myself on netbanking. (New to yes bank). CCare said my new custID hasn’t yet propagated through all their systems yet. So I don’t have a PIN yet. But I was able to do online transactions. Like many have observed, yes bank customer care could be the weak link with this card. It would take 2 days to get linked online. I applied for Exclusive card in card on card basis using my HDFC Diners Black but they gave me First Preferred card.When I talked to CC, they mentioned they stopped Exclusive card by March itself and I feel that’s not true as I have seen Alok mentioned that he applied on June and got the Card. Anyone applied and got Exclusive card recently? I was told about they stopping exclusive card on C On C basis by 31st march. I applied in first week of Apr. They told me to take Preferred and then upgrade after 6 months or so..
For a 7.5 lakh spend (which is reasonably high) the Prefferred card gives better value than the Exclusive card. You get Rs. 20,000 in the Preferred card while you only get around Rs. 18,750 in the Exclusive one (assuming both cards are LTF). The milestone bonus threshold in the Exclusive card is too high, which makes it less beneficial. Strange. Anyone who does not need Complimentary PP visits for add on card must take Yes First Preferred. Recently on generation of my 6th statement of YFP, i requested CC for upgrade, they checked and voila.. its there.. I wholeheartedly said yes. Waiting for upgraded card. Many thanks to Sid and cardexpert for this blog and insights. For me, unlimited PP visits(both for Self & Addon cards) is what differentiates YFP and YFE. Unlimited Domestics lounge access on YFE (against 3per quarter on YFP) also brings peace of mind. Super fast speed. Breaking all records. On 14th Mar 2019 I requested for upgrade (after just 5 months), which luckily Customer care said is there, i asked to go ahead (and took the request number). On 15th received a sms that ticket wrt my request no. has been raised. Out of curiosity I logged in to my Yes CC account. OMG.. i can see two cards (both YFP & YFE). Both as Primary cards. All my outstanding/unbilled etc of YFP is visible to YFE. Although reward points are yet to be credited to YFE. Feeling great at speed of Yes Bank. Just waiting for physical card to arrive. Thanks to Sid and other members for their guidance/comments which let me apply after just 6 months(5th statement generation). Once again thanks to Sid for great work at cardexpert. Is this card still being issued on card to card basis (i.e. LTF)? I talked to them, the offer is still on. Yes Exclusive Credit Card charged me over 2% charges on Fuel purchase. But somewhere i read a discount. Tried to apply for Yes bank exclusive card online as I was eligible based on salary criteria. Surprisingly, even being in Hyderabad, my pincode was not in the list and hence could not apply. So, called up their phone banking and expressed interest to apply. Got a call within 1 hour but was to take the call due to meetings. Asked him to call today at a particular time. Received the call from an executive who was well mannered and asked a few questions regarding salary, company etc and confirmed that I can get this card life time free . Will submit documents on Monday and hopefully should get this card soon enough. With the kind of features this one has, I don’t think I will need any other card. I will still keep the Diners Premium card as long as they have their 10X offers. I am planning to cancel all my other cards (which are not life time free) after I get this one. Are there any negative effect on credit rating if I cancel my credit cards? If they are ltf card then why to cancle. If they are of different banks then u can use those for bank specific offers. Close the ones whicg are absolutely useless and not very old. 2. Don’t immediately cancel any other credit card issued recently. Wait till the card completes 11 months before cancelling so that your cibil score is not affected. You can also try to upgade them to ltf depending on availability. If card is still not valuable to you then cancel. Indeed exclusive card is one of the best card in India. I am using it from quite few months and experience is good till now with it. You also hold the diners premium, try asking hdfc to upgrade it to diners black (better reward rate than exclusive card) as you meet their salary criteria. But do keep in mind that this card is surprisingly popular in market from some time and hdfc may devalue in near future. Avoid cancelling your oldest card as it will impact your cibil score. Standard chartered Cashback – This one is only good for fuel and utilities. I think the only card in India which gives 4% cashback on fuel. I think this one has waiver based on 1L annual spend. Will check with the bank and try to convert to LTF. HDFC Diners premium – new card, LTF. So, no problems. I can use it for Diners 10X offers and HDFC specific offers. Will check possibility of upgrade to Diners black but should I wait for 6 months? My biggest problem with Diners card is that I don’t know if it will be accepted or not. So, I prefer not to use it for offline transactions. SBI Prime – This is my newest card. Till now, not sure about how their rewards will work out to be. But this is NOT life time free and to get maximum value out of this card, we need to use it for 5L annual spend. If I get the YES bank exclusive LTF, it makes every sense to get it. But, I am not sure how should I be using this card. Should I use SBI prime as main card or the YES excllusive? Diners is only for 10X program. Stanchart only for fuel apart from bank specific offers. I got a verification call for my application today. during application, I was offered a Life time free card but now they are saying I need to pay 10K for joining. I wanted to know if it’s worth to pay 10K joining fees for this card. Anyone got this life time free? i own a Yes bank First Exclusive , paid 10k+GST = 11,800/- , you get 50k points the moment you do your first transaction , but can only redeem it once your first month’s statement is generated , you can use them for merchandise or e vouchers of amazon/croma ,etc. dont be afraid of the 10k fees you have to pay because you get that much back in value (net savings Rs. 700) . Problem with SBI prime card is that the reward rate is linked with the spend. If you spend less than 3L, its a huge loss as you end up paying renewal fees and you dont get milestone benefits. You can easily earn 4-5% rewards on SBI prime card if you spend 5L. I think the better strategy should be to spend 5L on SBI prime card, earn all the benefits and then spend other things on Yes exclusive. So, it’s better to have Yes exclusive as life time free. Could you please review Yes private credit card? Received the Yes First Exclusive Card today , after a delay in verification due to not having landline at office . 🙂 . Got it bypassed after escalating. Sid , please update the above point in your review. Ajesh you have itr of more than 50L? I have limit of 7,60,000 on my CC card. Is this enough for this Yes Exclusive. I file ITR of around 25 lacs. Limit is Good enough, short of 40k, but should be able to make it! I have applied for Yes bank exclusive card on 18th September. I got a couple of verification calls. But still the status is IN PROCESS. I thought Yes bank is relatively fast in processing credit card applications. I don’t know why they are delaying this much. Also, they seem to be confused about LTF option. One person told me it’s LTF, another person told me it’s not. So, till now, not a great experience. Its probably stuck somewhere. Check with those who took the application, or reach them on social media. I called customer care, they don’t have a clue. I have lodged a complaint, no response so far. Will check once more by Friday. If its still not resolved, I am not going to waste any more energy on this. Also, looks like YES bank has a long way to go for becoming a top class bank. If this is the treatment they are giving for their EXCLUSIVE card applicants, I wonder how their customer service will be afterwards. I have more important things in life to focus on rather than running after YES bank for tracking a credit card application status. Spoke to customer care on Saturday. They said that there is some investigation on the documents which I submitted but could not give any more details and why it’s taking so much time. I am going to let this one go. Quick update – AS per the Yes bank credit card status tracker in the website, my application has been approved. Hopefully, should get it pretty soon. Looking forward to a long lasting and fruitful relationship with Yes bank. Received my yes first exclusive card. Both Mastercard lounge access and Priority pass lounge access are for Primary as well as Add-on card members. I have not yet applied the Addon card yet. There is some confusion regarding joining and annual fees. During application, I was told that this is lifetime free. But, when I called customer care they are saying it’s chargeable but I dont have much confidence in what they are saying. If the card is chargeable, I will enjoy for 1 year (as we get 12500 back as reward points) and then cancel because of high renewal fees. Let me know if there is any way to clarify this. Also, tried to register online. but could not. Says invalid card. I guess I need to wait for a few days before online registration? It would be LTF if it was promised at the time of application as we usually agree & sign it. So they can hardly skip that part. I have been using Yes Bank First Exclusive card for close to 10 months now. The features are good, covered by Sid in details above and lately have started bonus points (based on spends criteria) & 10X reward points for limited period. Further they are also having bonus points on biller registration, application for add-on card etc.. So all good so far. Thanks Sid for this blog and sharing useful features. Can you share what are the bonus points you are talking about? IndusInd Pinnacle card gives 2.5% Flat rewards on online spend and 1% on POS. Further 2.5% is also on adding money in Wallets or any online spend. What is the eligibility criteria for Yes Private Card? Will appreciate if somebody can point the right link or webpage. Its eligibilty criteria is 5cr investment relationship. Its retuns is 2% for spends in india, which less than 2.5% you get in yes first exclusive card (which you can get LTF). Its more of a status symbol than a reward card. If you still want it go ahead and ask your RM. You can see details on Yesbank Website. I applied for Yes First Exclusive about 10 days back, and submitted documents 7 days ago. How long do these guys take? The tracking number on the website was not activated until yesterday. It just says “In process”. I got one call to confirm my home & office address 4 working days ago. No one has come for verification either. Are they always this slow? How long does it take? I still am not sure if they are going to approve either. Finally got a confirmation that my card will be LTF. I hope they dont devalue this card any time soon as I am looking for a long term relationship here. I am yet to apply for an add-on card which I will be doing soon as it will be a big boon during international holidays. Yes clearly do not have proper back end systems in place to provide a good customer care. Also, their portal looks like at least a decade old with very minimal features. But the pros clearly outweigh the cons. Hi Shiladitya. Just got my Yes First card. The packaging is really nice. Hope they do not devalue this as well. How did you get a confirmation about card being LTF? Call/mail customer care? I have HDFC Regalia and just now received Yes First Exclusive, Should I ask HDFC to upgrade my Regalia to Infinia (do they do it?) or I should continue with Regalia? I don’t want too many cards. I have Kotak Royale as well. Which one should I drop or continue with all the three. Also Whether can I access complimentary Priority Pass lounges in India as well with First Exclusive , unlike Regalia? I think, you should hold yes first exclusive and convert HDFC regalia to Diners( to get 10x points). you should drop kotak royale as it is a useless card. Upgrading to Infinia will be good if you meet their eligibility criteria. Through Smartbuy 10x benefits, this card gives back 33% of the spends. Diners Black is also a good alternative and is sometimes given LTF as well though acceptance is a challenge especially outside India. Both Infinia and YFE give domestic lounge access through PP as of now. Is Taj membership only for first year or every year on renewal also? Does Yes Bank offer credit limit increases? They have given a limit of ~35% of my DCB limit. I am hoping to have a higher limit on this YFE card? HDFC has been regular in offering credit limit increases (almost once a year). I got two LEs in the first year. For the first one, I have asked. For the second one, they themselves offered LE. But you have to make good overall spends, get closer to credit limit once or twice, make a few high-value transactions etc. YFE application process is not straight forward, so thought of sharing. I had applied for YFE almost a year back, and it got rejected saying didnt meet bank parameters. It was card-on-card (COC) basis. I dont know which parameter didnt meet. Note that there is no option of applying on COC basis online, its only based on salary. So you can put more salary so that it shows you YFE option, otherwise it shows Preferred card option, and when yes bank calls for verification, tell them your true salary and then they give you COC option. I again applied in Nov but no one came to collect documents. However someone from Mumbai kept calling every week if documents have been collected. Last month a yes bank person came to collect documents. Again slow process. My office phone verification got done, but missed call on mobile. Yes bank person who collected the forms helped in organizing it again. After few days, I got a physical letter that application is on hold as documents not complete, and I need to send office and home address proof to Chennai address. I again followed with yes bank person who collected the documents, not with helpline. He followed it up with his team, and got all verification done. So moral of the story is follow up through the yes bank person who took your documents than the bank helpline. Its not an easy process at yes bank. Now its showing application status as approved, but the card is on its way to me. Hi! my experience with the application is very similar, except they haven’t asked for any additional docs so far. Can you tell what date you applied, and when did it get approved (you saw the status online)? I actually applied online for a lower card (based on my current income). Next day I recd. a call from the back dept. (or the outsourced one, I dont know! ), I told them that I have the HDFC regalia card with limit Rs. 8L. He said he’ll take my application for YFE – free for life variant based on COC. They have uptil now done the mobile verification and office verification, but even after 15 days of application, it’s still showing “IN PROGRESS”. Can we upgrade it on FD basis , I have yes First Preferred want the YFE card.I have a savings bank account with 1 lakhs deposit also.Sid can you help.My Salary is 19 LPA.I can increase amount in my savings account and maintain it. Is there any card which allows lounge access to minor children accompanying the primary card holder, what are ways and means to travel with family and avail lounge access. children above 5 years are generally considered as +1, and for minors you can use any other card with your name to gain access. My experience on this, you have to use a card with a different provider for your kid. Ex: If you used any Master card for your access, for kid you have to use , visa /amex / others for lounge access. Are there any other banks which have such ‘card on card, offers? I hold HDFC Regalia card and YES Exclusive card. My income is not very high but my Regalia limit is Rs. 10 lakhs. Any other premium cards that are lifetime free which can be applied to on the basis of Regalia credit card limit? Congratulations for LTF YFE card. How u got a 10L limit on Hdfc Regalia ?? It was due to high relationship value with Hdfc bank or high ITR. MY regalia limit is 5L, recently increased ( doubled ) online due to good NRV with bank . I have a very old relationship with HDFC Bank and it got increased to this limit over a period of 6 years of holding Regalia and 9 years of other HDFC variants before that. This is one of the best cards in the market today and if you can get it lifetime free, just go for it. I have been using this as my primary card for 6 months and it has all the benefits you would expect from a premium card and more. The best thing I like is you get 2.5% reward rate on ALL spends and no hidden clauses. Also, their charges on international spends are the lowest and the rewards on international spends are more than the charges which is awesome. I also love the free unlimited lounge access worldwide for both primary and add-on card holders. Also, Yes bank sometimes gives pretty interesting spend-based personalized offers which is awesome. Is this YF exclusive card is still available as Life time free ? I received it just last month. What was the criteria for First exclusive free credit card? I have a Citibank Indian oil credit card with 8L credit limit but I got the YES First Preferred credit card only in March. I didn’t even ask about the Exclusive credit card whether its free or not. Please let me know if anyone has got the Amazon Gift vouchers. On 9th June i received message from yes bank that my card is approved and will reach me shortly. I was given credit limit of 2,75,000. Usually they ask for unused 8L credit limit for card on card application, but it is not a firm rule, If your total credit limit is 8L and you have used 1L like i did then it is fine to them, but if u have 5L loan or emi on your card then you might not get your application approved. Did they give it as LTF? Also, do you hold any savings account with Yes Bank? I do hold Yes First account with them with significant AQB, that might have also helped in getting YFE. I received YFE with limit of 2,75,000. It’s appalling that yes bank has removed iPhone from its electronics section and has only 3 products in that section of which 2 are kindle. They also do not have option for Amazon vouchers now or is there any way to get them through phone banking / offline. One thing to note here is Yes Bank has come to show its true colours of operating. They first made people spend a lot with all crazy rewards points offers while showcasing so many rewards redemptions options. Now that people have earned the reward points over the period they have removed most preferred redemption options. Have lost trust in them. Their reward points now look useless. Getting too many credit cards users on card on card basis and LTF cards may only be their way to show some numbers to their shareholders and one of the ingredients to get AAA rating I guess. I have used this card as my primary card for the last 6 months and have spent >10 lakhs and got a huge number of reward points. Earlier, I had redeemed against Amazon vouchers (physical ones, No e-vouchers) and some flight tickets but right now, I am struggling to redeem my points. I have to wait for a personal travel to book flight tickets with those points as other options are pretty useless after they stopped Amazon vouchers. I am starting to appreciate cards which allow points to be redeemed for cash or statement credit so that the reward points are actually used properly. I think this is the most important point when one is evaluating a credit card. We should not go mainly by the reward rate as it might be misleading. Useless rewards are actually forcing you to spend the reward points on unnecessary stuff rather than things which you actually need. I am starting to appreciate SBI card a lot more now. I am looking to replace this card with some other card as my primary card. I have SBI Prime but it does not have some of the premium features and SBI ELite is also not that useful.. I am thinking for Standard Chartered Ultimate, will check the finer prints before applying. Standard chartered has a pretty good rewards catalog including Flipkart and Amazon, so it is almost as good as cash and the vouchers are available as e-vouchers as well (no courier/post nonsense). Any other suggestions? Yes bank wanted to compete with HDFC… there seem to be lot of HDFC influence in their interface etc. But with time we can make out that the difference is like chalk and cheese. Yes bank has a long way to go before they reach the standards of HDFC and Amex. In terms of of service they are long way behind. In terms of products they appeared to have the stuff that can match, but that doesn’t seem to be the case anymore. Diners Black is most rewarding but I hop they add more redemption options. But its still good enough if we use it only for travel needs. Amex is not as rewarding but the points have good liquidity, almost like money. SBI Simply Click is considered as lower end card, but I find it quite rewarding because of Amazon as a redemption option. You can go for IndusInd Iconia Amex card which has 1.5% cashback on weekdays and 2% on weekends. The accumulated points(1 point = 1 INR) can be redeemed against statement. Eligibility Criteria: Minimum Net Salary of INR 400,000 per month or Income Tax Return of INR 50.00 Lacs and above. I have a Yes First Preferred card and I want to upgrade to Yes First Exclusive Card. I have DCB with 9+ Limit and not sure how to upgrade. When I called the customer care personnel wasnt aware of any procedure to upgrade? Has anyone else upgraded through “Card on Card” ? The best person to advise you is your RM if you are a Yes Bank account holder. Otherwise contact the Credit Card guy at the Bank branch. Only these 2 can give you a clear picture. All others will say we are writing a mail for you etc. etc. and we’ll get back when we get a response from concerned team. Which in most cases does not go through. Nope. Same case they are not upgrading card on card basis. I s have atopped using the card and got SCb ultimate instead as a backup card. Yes Bank stopped giving points for transactions done on PhonePe. with this yesbank first exclusive-priority pass, can we access to lounges while arriving in an airport in india/abroad. i know while departing it has free access. while arriving, should we have free access with priority pass. i read some where it is free.